Keen to get the most out of your holiday to the Canaries? Grab your camera and explore the superb sights Tenerife has to offer. It's certainly a Spanish holiday with a difference. It's volcanic, which contributes to the dramatic scenery and has 10 stunning blue-flag beaches - so on a holiday to Tenerife there's plenty to delight all types of visitors! Soak up the sun on one of the many sandy beaches, or plan an adventure-filled day out with the family. 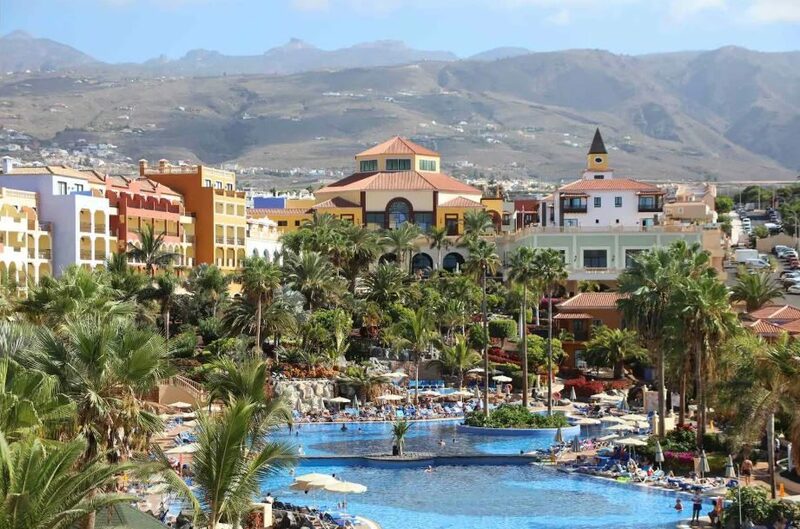 You'll find the large, lively resorts of Playa de las Americas and Los Cristianos in South Tenerife, along with famous attractions and waterparks such as Siam Park for an unforgettable experience! Or, you can enjoy the local bars and vibrant nightlife if you fancy a cheeky sangria to unwind after a busy day of exploring (or sunbathing). 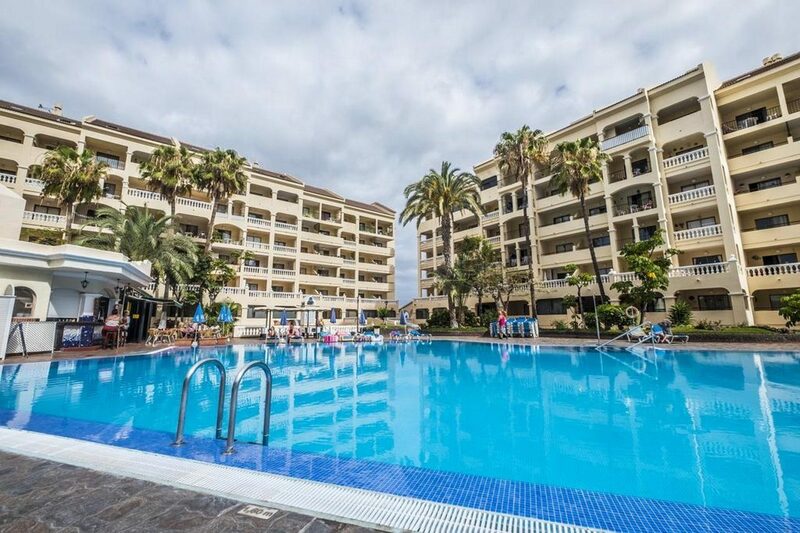 Want to be within easy reach of the fun on your Tenerife holiday, without having the hustle and bustle right on your doorstep? 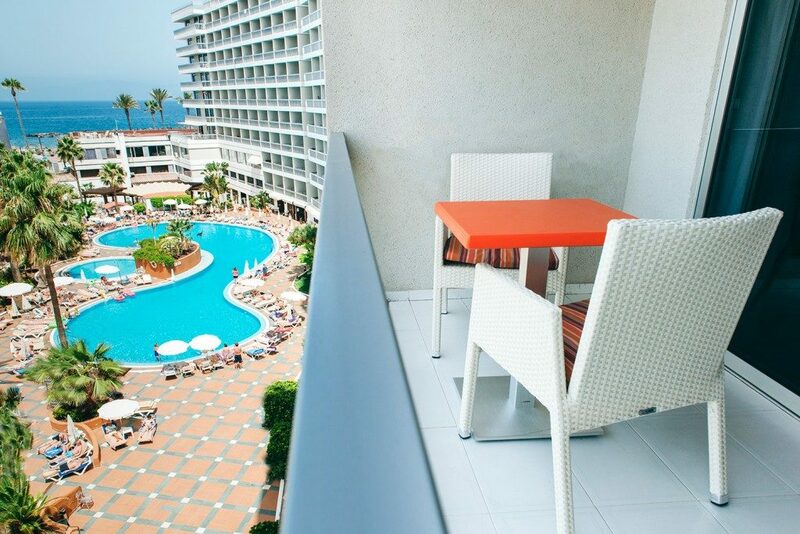 The nearby resort of Costa Adeje could be just what you're looking for. North Tenerife is ideal if you prefer a holiday with an overall more relaxed pace. The black sandy beaches at Puerto de la Cruz and the surrounding untouched countryside are really worth visiting, too. However, to get the best view of Tenerife, you can take a cable car up to Mount Teide for breath-taking panoramas of the surrounding national park. Other outdoor activities to look forward to on your Tenerife holiday include diving, snorkelling, hiking, biking and family-friendly animal attractions such as the award-winning Loro Parque, located on the outskirts of Puerto de la Cruz. 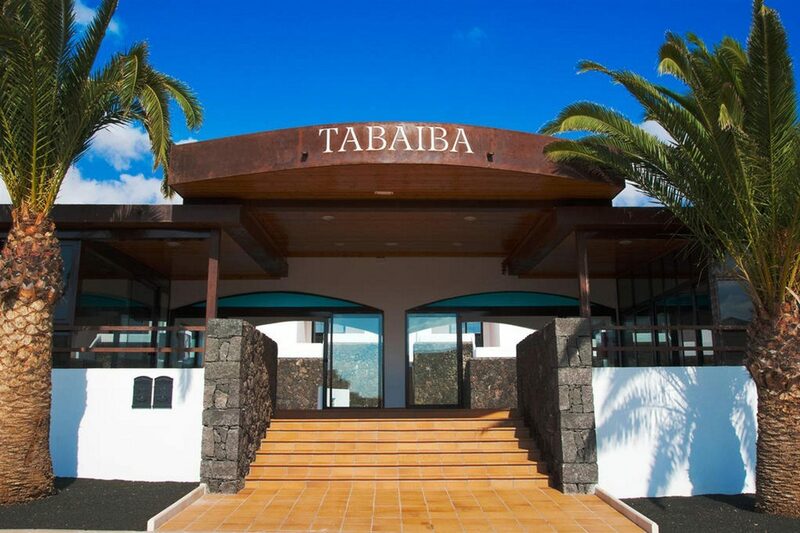 You'll find a fabulous selection of cuisine on your holiday to Tenerife, too. Choose from traditional dishes such as Canarian tapas and fresh seafood. The larger resorts located in the south also offer a wide choice of local, international, fast food and British restaurants, so every taste is catered for! If you fancy a lively evening in Tenerife, Playa de las Americas is the tourists' nightlife capital with live music and bustling bars that stay open until the wee hours. 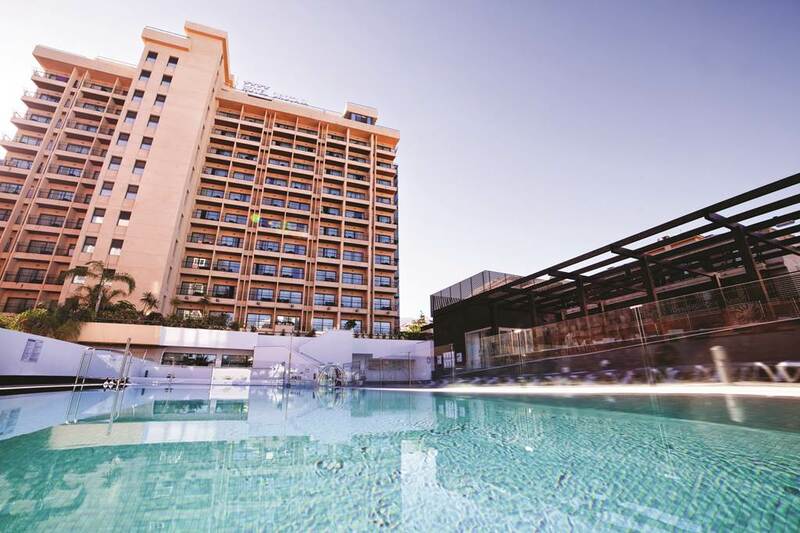 The year-round sunshine in Tenerife makes it an extremely popular destination for friends and families, and you fancy avoiding a cold winter, you can escape to sunny Tenerife and bask in the warmer winter sun. Does Tenerife sound like your next holiday destination? Call Hays Travel today and we'll help you to plan your perfect trip - we have over 37 years of experience in booking holidays to Spain and the Canary Islands, and are proud to have been voted the UK's Best High Street Travel Agent too! You might think holidays in Tenerife are all about laying back and enjoying that sunshine, but there's much more to do besides. For family fun, head to one of the animal attractions, which include the award-winning Loro Parque, or experience the thrills and spills at one of the island's water parks. Take the cable car up Mount Teide and marvel at the spectacular national park that surrounds this stunning peak. There are plenty of boat trips available off Tenerife, don't miss a voyage to the towering splendour of the Los Gigantes cliffs or the neighbouring island La Gomera. Explore the north of the island, home to banana plantations and Canarian architecture. Island capital Puerto de la Cruz boasts great chain stores and boutiques. As well as all of this, holidays to Tenerife offer golf, tennis, diving, snorkelling, hiking, biking and horse riding opportunities. No wonder holidays in Tenerife are so popular! Playa de las Americas is home to the famous Veronicas seafront strip and continues to be the hub of Tenerife's night life. This vibrant resort is busy all year round, but in the summer months, it's a favourite with 18-30s seeking a lively holiday. Elsewhere on the island, Los Cristianos and Puerto de la Cruz offer karaoke bars, fun pubs and a few discos. In quieter areas of Tenerife, entertainment is often hotel based. The restaurants in the north of Tenerife serve up daily menus of traditional Canarian tapas, fresh seafood and other regional specialities. Down south, the main resorts offer a good mixture of local, international, and British cuisine - alongside the odd fast food eatery. If you prefer the convenience of eating in your hotel, choose one of our half board or all inclusive deals.